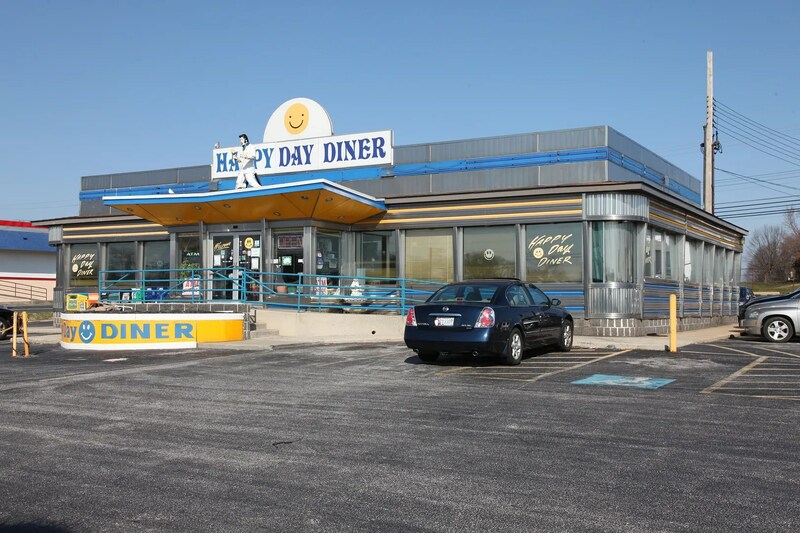 I last visited the Happy Day diner in 2004, and wasn’t too impressed. 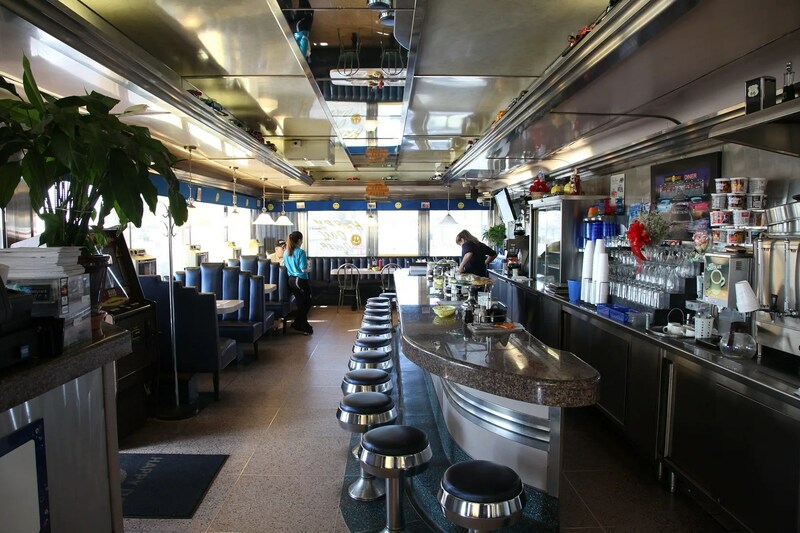 It’s a very pretty ’59 DeRaffele built diner that got the retro treatment. Fortunately, most of it is cosmetic, stickers, paint and bolt-ons. Almost nothing which couldn’t be un-done at a later date. Smiley face on the roof, and Elvis on the vestibule. The smiley face up there has actually been toned sometime in the intervening decade, see the original here. Nine years later, we decided it was time to give this diner a second chance. It is, after all, just down the road. The waitresses were friendly and attentive, the coffee was good, and the interior still looks pretty good. I had the cream chipped beef, my dad had his usual eggs, bacon, homefries and toast. Maybe we’ll give it another chance in another decade. 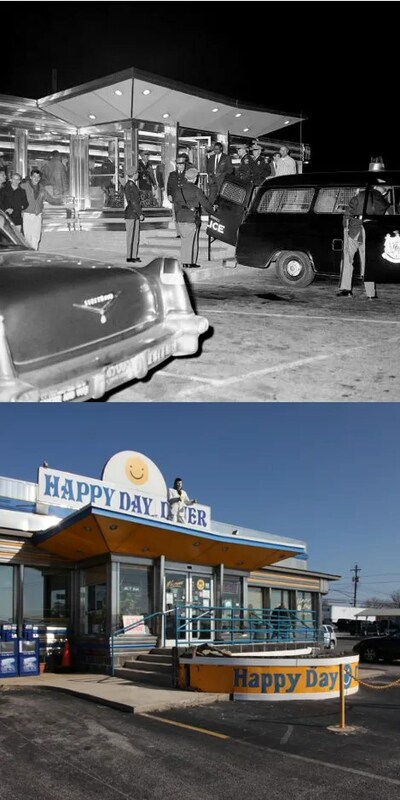 The retro remodeling of the Happy Day Diner harks back to the time of 45s and of Elvis. Here it is in those days, with freedom riders being arrested after trying to be served. This entry was posted in DeRaffele, Diners / roadside related, Diners/ restaurants by Spencer Stewart. Bookmark the permalink. Do you recall that Elvis was stolen from the roof a couple of years ago? Thieves should have kept it.